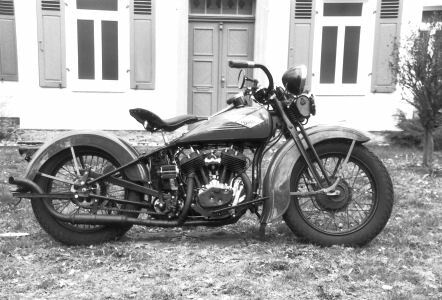 Harley attempted in 1929 to break into the "middle weight" class motorcycle market by offering the DL 45. Sales started off slowly in it's first year but was comprimised with many mechanical problems. This was a result of trying to save money by designing an engine, with an upright generator that ran on a bevel gear system, to fit in it's Single Cylinder model. Many of these problems were worked out by 1930 with improvements to the model but sticking with the upright generator. 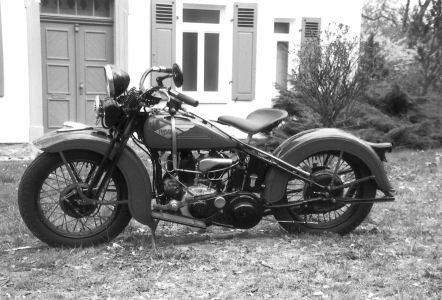 Harley realized that they had a viable product with a growing market and invested money into redesigning the engine to have a regular horizontal output generator and changing the frame to accomindate the new engine thus creating the 1932 RL 45. This model was used in H-D's 2 wheel and 3 wheel (Servi-Car) versions until 1936.